An Uptown Eclectic Comminity.submitted by Jennifer H. - Mar 25, 2019 |Recommended: YesAmazing location and friendly neighbors. I moved here for the security when do you plan to fix rear hatesubmitted by Linda P. - Dec 31, 2018 |Recommended: YesI would be honest and say the Phone reception is bad and if you or neighbor talk alittle loud your conversation is heard. You have to go outside apt to use Phone periodicly. 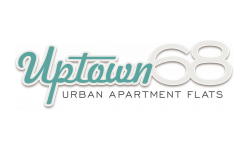 Comfortable, easy going living environment in an exciting feeling of being in Uptown.submitted by Michelle J. - Jul 11, 2018 |Recommended: YesLauren her staff do a great job of keeping the grounds neat and livable. Since the remodel we have had a good group of residents move in making the property comfortable. Family friendly and also accommodates the single working individual whom likes to keep to themselves. Good locationsubmitted by Joselyn C. - Jul 03, 2018 |Recommended: YesProperty location and appearance is great. Love the Uptown area. Older buildings you can hear upstairs tenants walking about, tv, or music, but nothing too awful to bear. Parking is very tight spaced, but all tenants are respectful to allow space for each vehicle. No problemssubmitted by Christina H. - Apr 20, 2018 |Recommended: YesMy only complaint is how the online rent payment system is setup. I do not like how you can only set up a rent payment on the 1st, 2nd, or 3rd. I would like to pay me rent early if possible but I am not able but the system is not setup to allow it. So it become an inconvenience for me. If I get my statement on the 23rd and then paid on the 25th, why can't I pay it on the 25th I think the online payment system should allow people to pay their early rather than within a extremely limited time frame. Review of 321 W. Pasadenasubmitted by Stephanie Q. - Mar 01, 2018 |Recommended: YesIt has its quiet moments with the exception for the restaurant behind the apartments as they frequently dump their garbage which is quiet noisy. Also, if you don't mind stray cats wondering the neighborhood and running on the roofs, it's a pretty good place to live. People mind their own business and management does address any issues you may have as efficient as possible.